Monthly meetings are held at Botanic Gardens in Fort Worth in the Azalea room, unless otherwise stated. From I-30, west of downtown, take the University Drive exit and go north to Botanic Gardens on your left. Turn into the second entrance (Garden Center Boulevard) and proceed forward to the Garden Center. Meeting topics and location are subject to change. Refer to your monthly newsletter for updates in the schedule. Meetings are generally the third Thursday of the month. 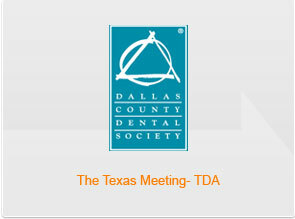 The Fort Worth District Dental Assistants Society is dedicated to the continuing education of the dental profession in the Fort Worth area. Meetings are held at the Botanical Gardens, University Drive, Fort Worth, Texas. All meeting are held the third Tuesday of each month, September through May at the Fort Worth Botanic Gardens, unless otherwise notified. From I-30, west of downtown, take the University Drive exit and go north to Botanic Gardens on your left. Turn into the second entrance (Garden Center Boulevard) and proceed forward to the Garden Center. We meet at 6:30 PM for a get-acquainted/social time with the program and general assembly at 7:00 PM. If you have questions, contact President Denise Jennings at 817-281-3949. 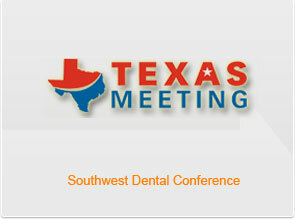 All dental professionals are welcome to attend any meeting of the Fort Worth Dental Assistants Organization. Non-members of FWDDAO will pay an attendance fee of $20.00 per meeting. The September meeting is the kickoff, and there will be no charge to non-members.